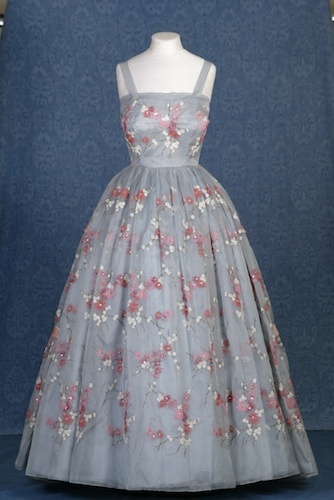 Worn by Princess Margaret at a film premier in London in 1951. 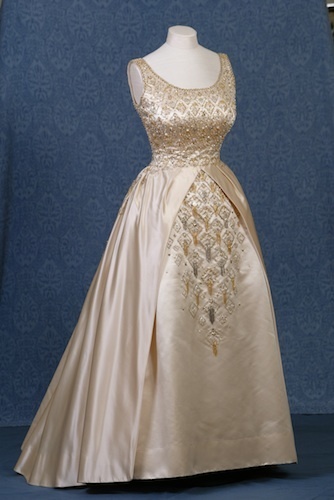 This glamorous party frock, (plunging halter-neck design) marked a departure from the demure style traditionally adopted by Royal women. More Hollywood glamour than Royal wardrobe, its risque nature was widely reported by the press who were even more excited to find the Princess smoking a cigarette while wearing it. Historic Royal Palaces © Lord Linley and Lady Sarah Chatto. Kensington Palace has a new exhibition to complement its permanent collections on Queen Victoria, and the King's and Queen's State Apartments. 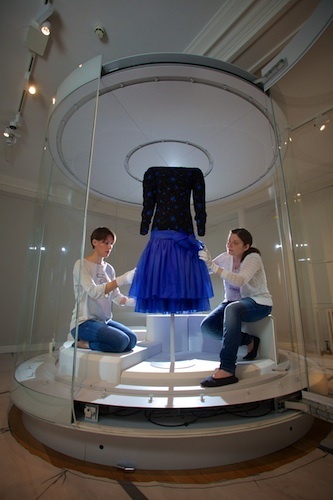 Fashion Rules is a display of dresses worn by The Queen, Princess Margaret and Princess Diana, bringing a modern element to the Palace, part of which is currently being renovated for the arrival of the next royal clothes horse, the Duchess of Cambridge. 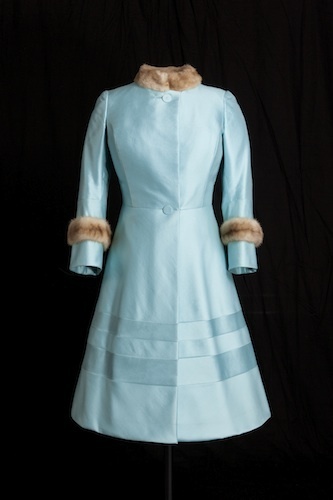 Across five bijou rooms, more than 20 dresses create a potted social history of design and diplomacy from the optimistic 50s, through the adventurous 60s and 70s to the garish "Dynasty Di" of the 1980s. The comparisons and contrasts are fascinating. 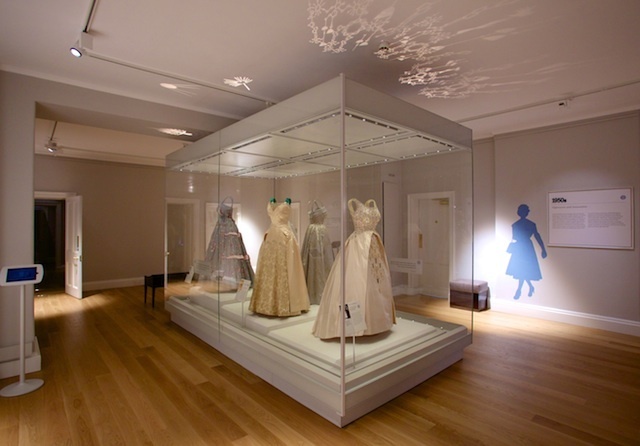 The first room, filled with masterpieces by designers Hartnell and Amies, show how The Queen's dresses were frequently light in colour, so she stood out in the black-and-white film footage of the time. 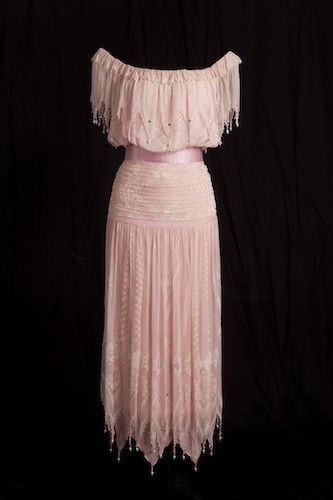 The exquisitely beaded Norman Hartnell dress which opens the show gives a great impression of a diminutive monarch with a love of nipped-in waists and full skirts. 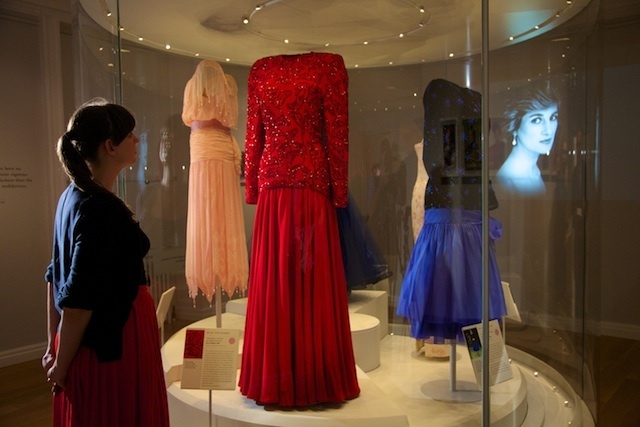 The sheer classiness of the gowns on show are a real contrast to Diana's dresses, a few rooms later, which appear garish and gaudy in comparison. Here, the dropped waists and long hemlines serve as a reminder of Diana's elegant 5ft 10 frame as well as the "more is more" ethos of the decade. The bright near-MTV colours, too, speak of another age. But there are similarities too. 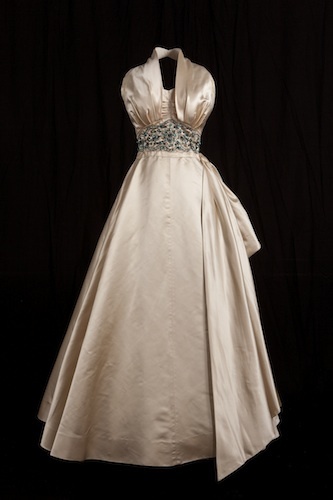 A gorgeous ivory dress with wide emerald straps and a flash of the same green in a theatrical bustle was worn by The Queen in Pakistan, echoing that country's flag. Later, an insipid asymmetric Catherine Walker column dress belonging to Princess Di was the result of her not wanting to reflect any of the colours from the Brazilian or Argentinian football teams as she toured Brazil during the the 1990 World Cup finals. 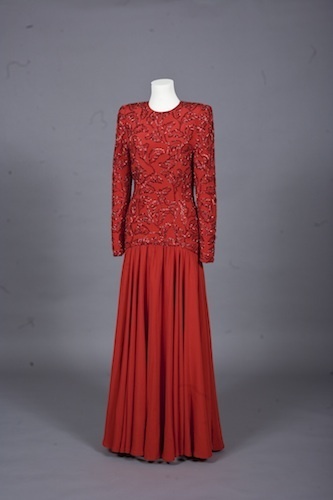 In the centre sits choice items from the wardrobe of Princess Margaret; surely the outfits which have seen the most fun. From antique lace-infused minidresses to sumptuous fur coats to slightly bonkers "fancy dress" kaftans and turbans, these are the dresses that met ABBA and Louis Armstrong, partied in 70s Mustique, and raised a few eyebrows. A gorgeous halterneck with a slightly plunging neckline is a perfect example of the differences between the sisters' styles. More Marilyn than monarch, this is a dress that delighted the press, not least because Princess M was spotted smoking a cigarette while wearing it. 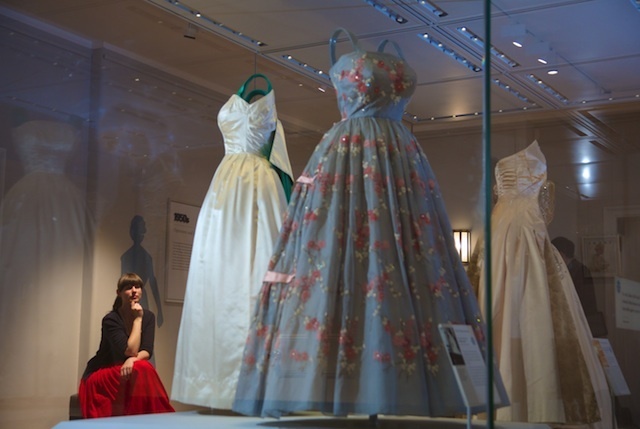 For fashion history fans, this is an excellent exhibition showing off some amazing artistry as well as reminding us of the people and politics the behind these pretty dresses. 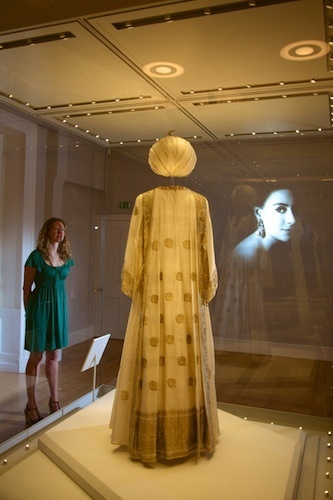 Fashion Rules is at Kensington Palace, Kensington Gardens, Kensington and Chelsea, W8 4PX until 4 July 2015. Tickets included in admission price: between £11.40 and £15. Visit hrp.org.uk/KensingtonPalace to find out more.